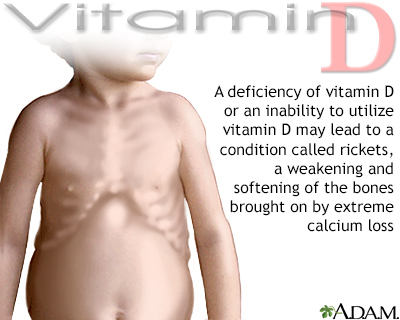 Eating a diet rich in vitamin D and getting plenty of sunlight and calcium can help prevent osteomalacia due to a vitamin D deficiency. Weinstein RS. Osteomalacia and rickets. In: Goldman L, Schafer AI, eds. Goldman's Cecil Medicine. 25th ed. Philadelphia, PA: Elsevier Saunders; 2016:chap 244.